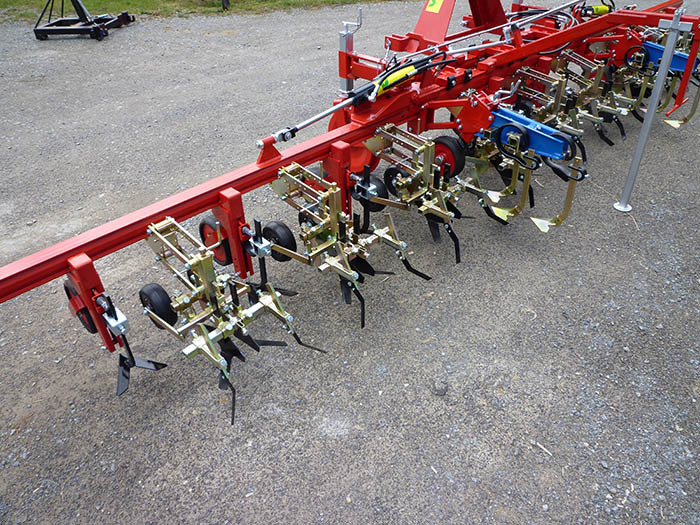 Each tool support is attached by parallelograms to the main frame. 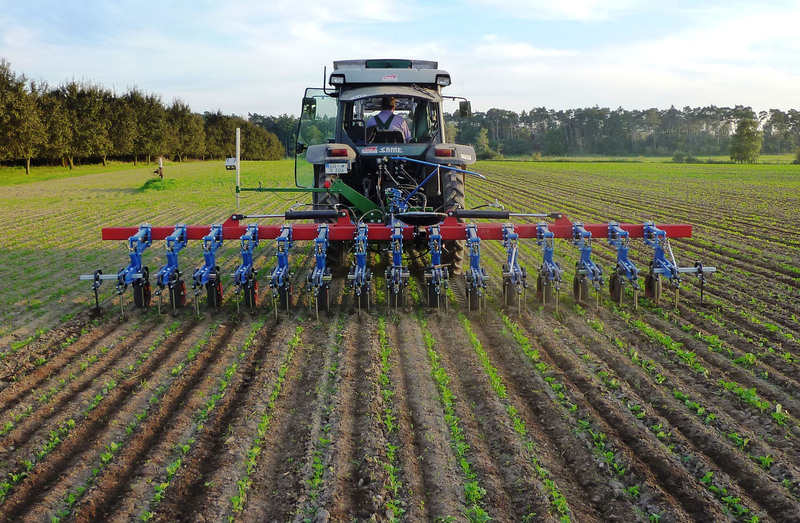 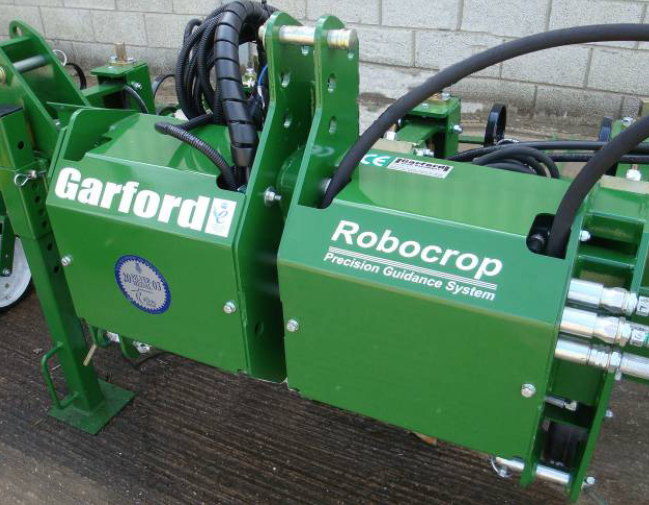 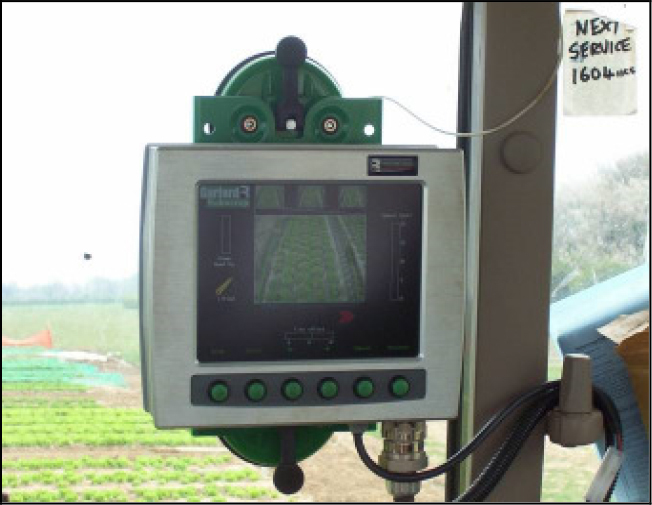 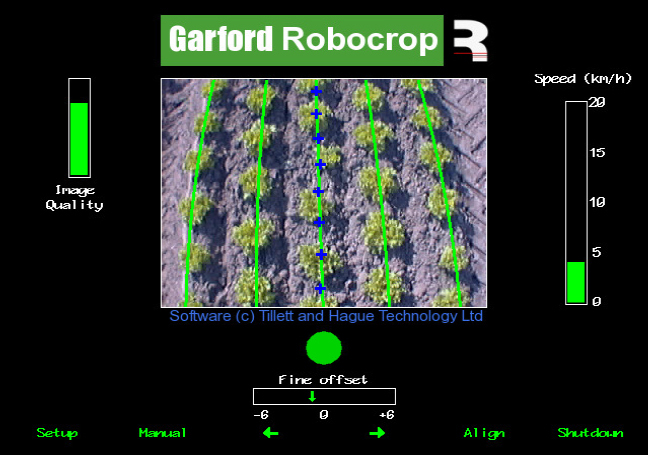 The plant row is seen by a camera and the collected data are analyzed in a computer, which acts directly on the hydraulic steering. 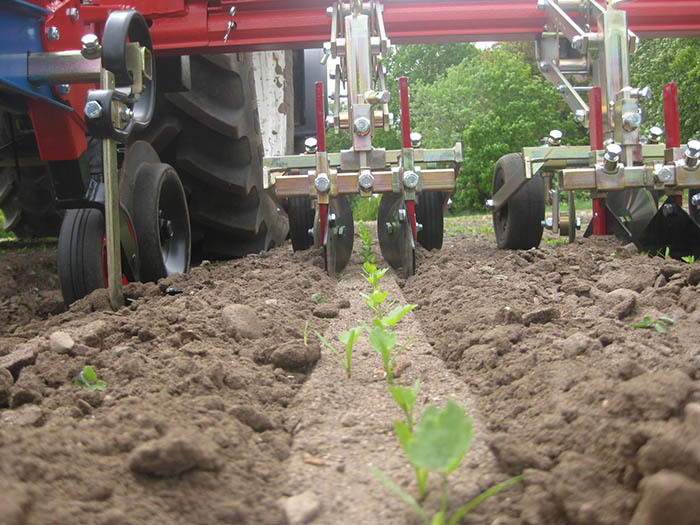 relating to the crop row spacing. 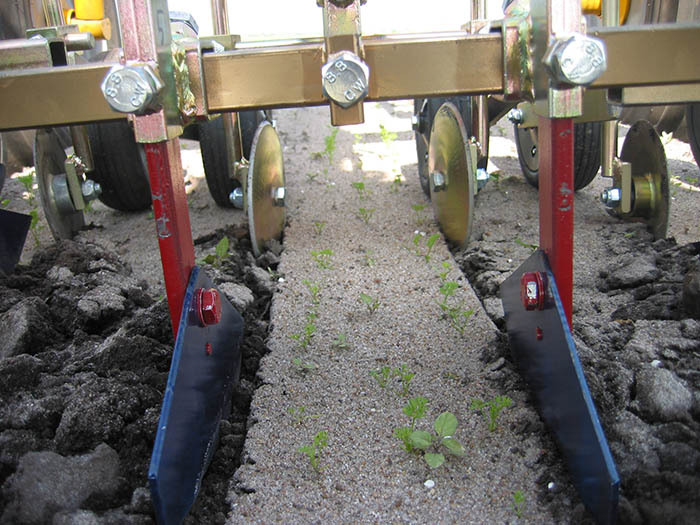 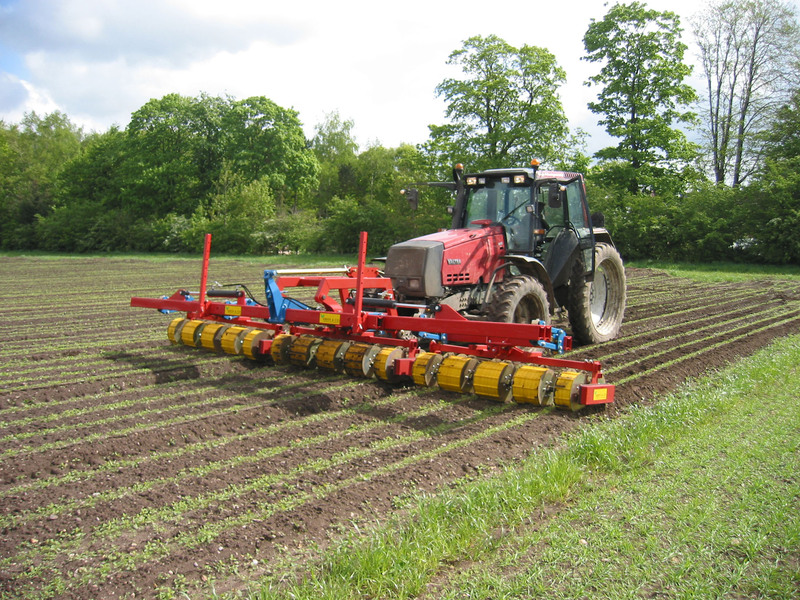 This information is then utilised to bring the equipment onto the row centres via a hydraulic sideshift.